"No – absolutely not." This is what the Cambodian Minister of Education said to Benoit Duchateau-Arminjon in 1993 when he proposed to open the country’s first school for blind children. "If you want, take the money and invest it in normal schools,” he remembers being told. “No,” other families said to Phalla Neang, a cambodian teacher, when she drove her small motorcycle from house-to-house, asking if there were blind children there. “Some people shut the door in my face,” she recalls. Now she laughs about it. At the time, blindness was considered a curse in Cambodia. But Benoît had promised a blind child, Wanna, that he would go to school. With that promise he convinced Phalla to join his organization, the Krousar Thmey Foundation. "It was crazy," he admits. "I looked for her and I told her: I know you can help me but I’m only able to pay you $100." And she agreed. 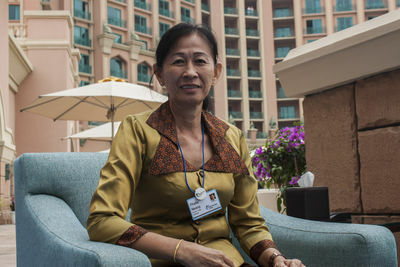 Phalla Neang, one of ten finalists under consideration for the “Nobel” of teaching at the 2015 Global Teacher Prize event held in Dubai, became the first teacher of Braille in the history of her country. Wanna, their first student, is now a professor of music. Wanna today. 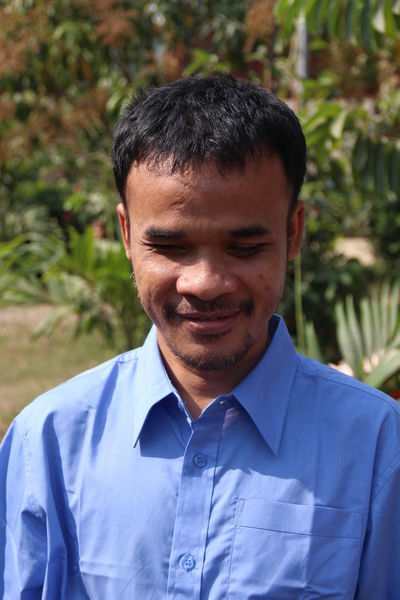 Despite his disability, he is now is a Music teacher in the Phnom Penh Thmey School. Photo by Krousar Thmey Foundation. 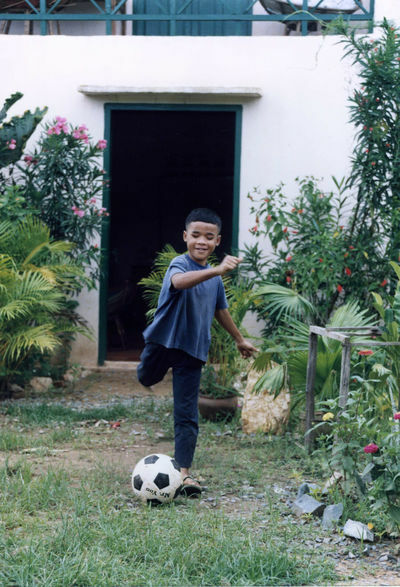 In 1993, Phalla Neang opened the first school for blind children in Camboda. She was one of 10 finalists for the "Global Teacher Prize," an honor that awards $1 million to "the best teacher in the world." 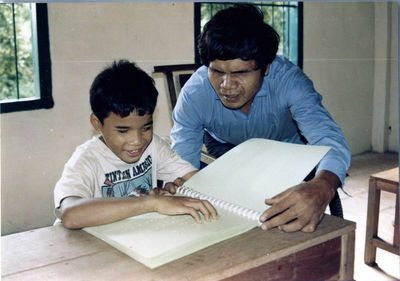 Phot Wanna in 1993 being taught to read an braille book. 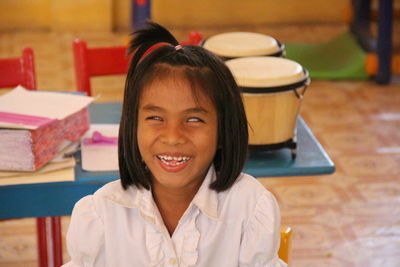 Wanna, was the child who gave Benoît the inspiration to open the first school for blind children in Cambodia. Wanna 20 years later with Benoît (founder of Krousar Thmeu Foundation, back row, third from the right) and Australia actor Jack Thompson. Photo by Krousar Thmeu. 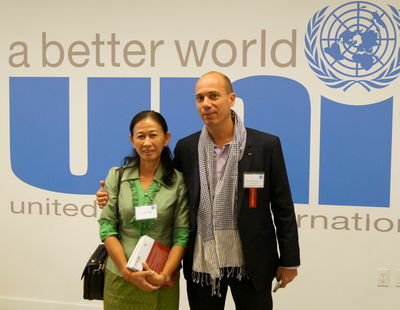 Benoît Duchâteau-Arminjon and Phalla Neang. Benoît is the founder of NGO Krousar Thmey. He started in Thailand’s refugee camps over 20 years ago. 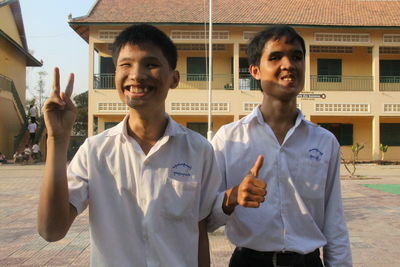 In 1993, Phalla Neang and the NGO Krousar Thmey opened the first school for visually impaired pupils in Cambodia and Phalla became the very first Braille teacher in the country’s history. She also contributed to the development of the Khmer version of Braille. Since 1997, Krousar Thmey, which is supported by LIGHT FOR THE WORLD (a European development federation), also provides education for deaf pupils. 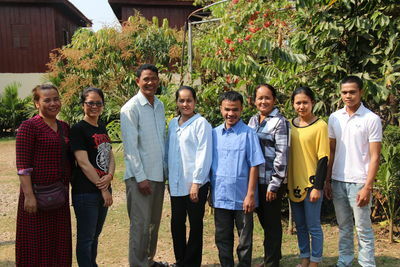 Today Phalla Neang serves as a teacher trainer, school director and as the coordinator of the national ‘Education for Blind’ program. The ‘Education for Blind’ program involves five schools for blind and deaf students, 72 integrated and inclusive classes in regular schools, and nationwide advocacy campaigns. 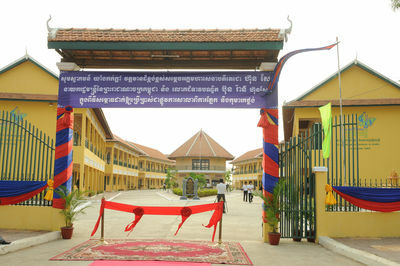 The opening of the Phnom Penh Thmey School. The Phnom Penh Thmey School. 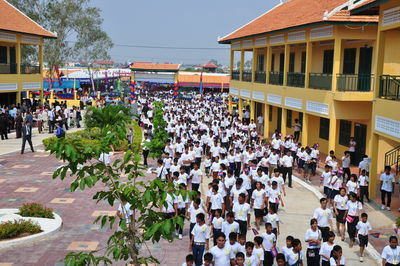 Phnom Penh Thmey School. This is the school where Phalla currently works. The program has now expanded to 69 teachers and 250 children in 4 Krousar Thmey schools. There are an additional 29 integrated classes in public schools across the country. Wanna teaching a class in the present day. 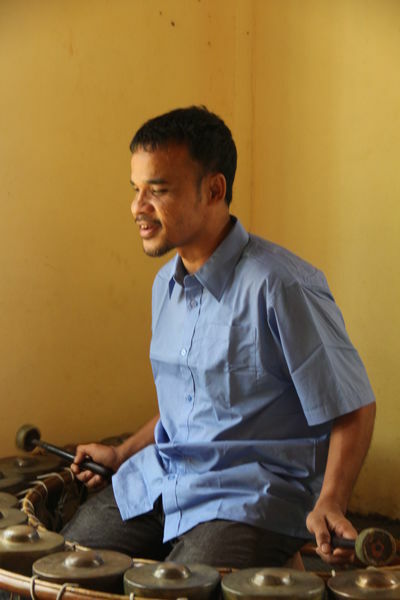 Wanna's journey from a child who yearned for education, to now being a teacher is the success story that spurred the creation of schools for blind and deaf children in Cambodia. Wanna today with his team. 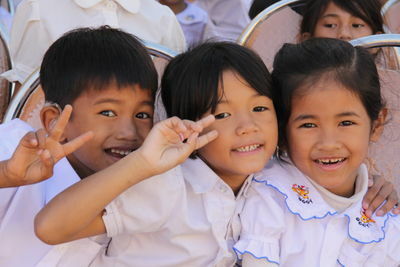 Students at the Phnom Penh Thmey school. 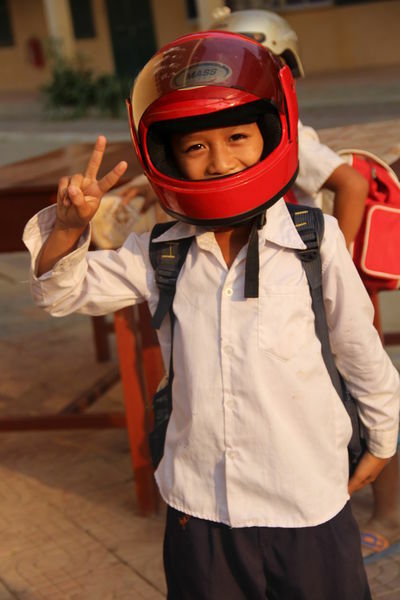 A Student at the Phnom Penh Thmey School. Ly Khemara checks braille script as it emerges from the braille printer - the only such machine in Cambodia.